Maintaining the look and strength of your tree is imperative to ensuring that it remains safe for you and your family. By correctly cutting back broken or dead limbs and branches as needed, regularly-scheduled tree trimming and maintenance service helps your trees to grow correctly, allowing them to better withstand extreme weather conditions while providing all of the benefits that a lush, beautiful tree is intended to deliver. Tree trimming, or pruning, is one of the most popular tree services in Northern Colorado because it’s one of the best known care tips for tree owners. Whether you are ready to try some trimming yourself or would rather offer it up to a certified arborist to check this off your to-do this, there are some great things to know about how trimming tree branches can improve or harm the tree in the long run. Why Is Tree Trimming Beneficial? Tree trimming offers many benefits for homeowners. From removing damaged or diseased branches to shaping the tree into a special design, pruning can be both functionally and aesthetically advantageous. Trimming trees can help thin the over-crowded areas, which allows more room for new growth and increased air circulation. Moreover, cutting some branches off the top helps keep the tree from encroaching on surroundings, such as power lines or the house. Likewise, cutting branches at lower levels frees up the ground space and eliminates the danger of getting an eye poked out! Pruning branches can be a regular project for homeowners, or it can be quite the job for a professional. Homeowners can typically take care of trimming small branches here and there that don’t require power tools or ladders to get the job done well. 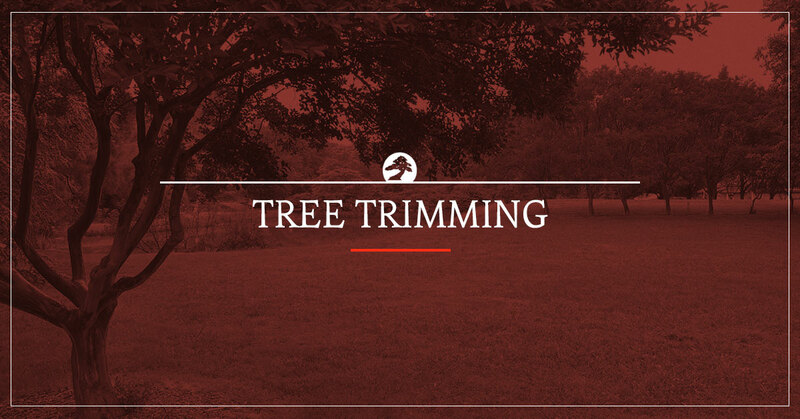 A safe guideline is to trim branches that are no larger than 1.5 inches in diameter. If one carelessly trims too many branches, or the wrong branches, the tree could die or be severely damaged. Moreover, to protect your safety, it is recommended that you remove branches that one person can easily support while another is trimming. Safety first! Take care to follow professional advice for properly trimming your trees. A professional is best left to the job when the job is a big one or if you are unsure about the best practices for pruning a tree to help it grow stronger and more beautiful year after year. As certified arborists, it’s our passion to do what’s best for the trees. Trimming is one technique that we’ve come to master over the years. With state-of-the-art equipment and a passion for positive tree health, every trim we make is purposeful and exactly what the tree needs. Schra Tree Care was started more than 30 years ago by Chris and Kurt Schra. During this time, our business has revolved around a passion for preventative and proactive tree care. Much like you visit the doctor annually for a check up, we provide our neighbors with tree care that makes sure everything is growing as it should – and taking the initiative to fix it when it isn’t. We are passionate about the overall health of the plants that grow in Northern Colorado. 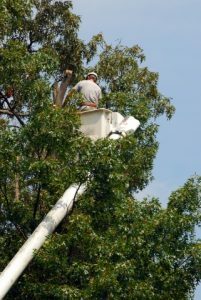 So if you think your tree can benefit from removing thick branches from tall heights and you’re ready to work with a professional, it is best to get more than one quote for the project. Not only can experts have different opinions about trimming techniques, but we’ll all have different prices too. Schra Tree Care offers free consultations to our Northern Colorado neighbors interested in professional tree trimming.